Classic singles like Billy Fury’s “Halfway To Paradise”, Dusty Springfield’s “I Only Want To Be With You” and The Walker Brothers’ “Make It Easy On Yourself” would not have been hits without Ivor Raymonde. As their arranger, and in the case of “I Only Want To Be With You” songwriter too, he shaped the final recordings. He decided on the orchestration and backing vocals, chose the instruments and determined what was heard on the radio – and what record buyers bought. Paradise: The Sound Of Ivor Raymonde is a long-overdue celebration of Ivor Raymonde, collecting his work as an arranger, musical director, producer, singer and songwriter. The story of a British musical great is told for the first time. Brit-girls Cindy Cole and Helen Shapiro, the soulful Sonny Childe and confrontational proto-psychedelic London band The Flies are as fantastic as the hits. With these and more, Paradise: The Sound Of Ivor Raymonde distils the essence of the magic of Ivor Raymonde. 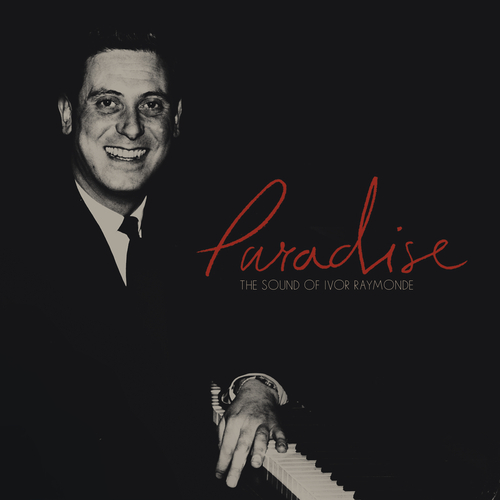 Paradise: The Sound Of Ivor Raymonde is released by Bella Union, the label run by Ivor’s son, former Cocteau Twins member Simon Raymonde. Compiled by Simon and Kieron Tyler, it is a very personal tribute to a sadly missed father. Born in 1926, Ivor Raymonde passed away in 1990. The previously untold story is revealed through a moving reminiscence written by Simon, and in-depth liner notes and a track-by-track commentary by Kieron. Ivor Raymonde played on the ocean liner The Queen Mary in 1949. In the Fifties, British television viewers saw him in legendary comedian Tony Hancock’s Hancock’s Half Hour. But music was always going to be most important. The hits with Billy Fury and Dusty Springfield in 1961 and 1963 meant he was in demand. The 26 selections balance the well-known with collectable rarities and tracks drawn from – until now – barely heard-of singles. Each is a gem; and each shows the magic of an Ivor Raymonde recording. Paradise: The Sound Of Ivor Raymonde is issued on CD, as a double album and as a download. Each version features the same tracks, but the vinyl version is sequenced differently for listening flow. Every track was originally issued as a single which were issued in mono for the pop market until 1968/1969. Keeping the integrity of the compilation in mind, all but four tracks appear in mono as they did originally. The masters used are those of the original singles. The strangest parts of that fantasy are not that Scott was at our house or that he was wearing a white shirt, as both of those are true, but that my own band Cocteau Twins signed to Fontana (Scott’s label) after years on 4AD, and that Scott signed to 4AD years after being on Fontana. Indeed, no fantasy at all. This is also one of my earliest memories of my father Ivor Raymonde, whose work I am delighted to highlight in this compilation, something that has been a real labour of love. Many of you will know the hits but we have gone a bit deeper with this collection. He died quite suddenly and far too young in 1990 and deprived of his friendship and his love, I slowly set about discovering just who Ivor Raymonde was and what he had done. The results continue to be quite staggering. Just when I think I have found everything he did, something else comes along and opens up a whole new appreciation of his work. In my late 20s after he died, I started an obsession with the comedian Tony Hancock, watching VHS tapes, listening to all the radio shows and buying a book listing all the crew and cast of every episode. I think I figured I would go on Mastermind with Hancock as my specialist subject, so I better know all the detail! Sat in the bath one night I was skimming through the book, when my eyes suddenly widened. In the cast of one of the early TV episodes in 1959, I saw his name! In watery disbelief I looked at the next episode and there he was again! How could I NOT have known this? I called my mum and of course she calmly muttered ‘Of course you knew Simon!’ Well, I didn't and yet I have been constantly saying ‘How could I not have known this?’ for the last 25-plus years since that moment. This collection has been lovingly compiled by me and my good friend Kieron Tyler. It has taken years to come to fruition, most notably because every time we thought we had the tracklisting done some other new treasures would be unearthed.